Is the “English Gentleman” dead? A friend was visiting Barcelona a while back. We met for breakfast and put the world to rights as we always do. He suggested he might like to write something for my blog. I had no idea what to expect. This is what he wrote. However it is interesting for me to notice that the concept is never translated. Whether in a Russian or Japanese conversation the words are always English. Was it a peculiar concept? Did people want to find it in Englishmen they met? In my travels, particularly to more isolated communities – like the peoples of Eastern Europe before the Wall came down – I think that they did. Perhaps, with the advent of cheap travel, the hooligans now travel with the gentlemen or perhaps the gentlemen no longer exist! In the 18th and early 19th century the English elite were fairly dissolute and were thought by many to be showing a bad example. Dr Thomas Arnold, the headmaster of Rugby school from 1828 to 1842, is credited with devising and encouraging the concept of the gentleman. It is a suit of many styles, fashioned to individual taste, but always of the same cloth. The gentleman was an enigma but you recognised him when you met him. Essentially he did things because he knew that they were right, not because they brought him personal advantage. The concept of the gentleman gave the English a moral code to follow more noble than any religion. It did not need social standing or a title, just a code of behaviour. The principle of personal “rightness” has a better chance of creating social cohesion and morality than a set of rules devised and dictated from above. Perhaps the concept is an anachronism. It is certainly ridiculed today by society and the educational establishment. However we educate children with facts but no moral compass. The “gentleman” of yesterday was supposed to have modesty, to avoid malevolence, to be fair and honest in his dealings and, if necessary, sacrifice himself for the sake of others, especially those weaker than himself. He was someone that you could trust. 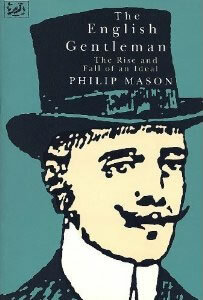 So the “gentleman” is dead, sacrificed on the altar of selfishness, greed and bureaucratic dictates. Was he a concept for good and have we found principles of behaviour to replace his? The true Englishman still clings to the principles of Fairness and Freedom. These are the remnants left to us. We should not lose them! Lovely article! So happy you feel so. I am an English Literature student, an Indian by birth, and the thing that attracted me to this course was the behaviour and the presence of these wonderful English Gentlemen and Ladies. More often than not, it pains when I do not find those signature English traits in contemporary novels that I used to find in the classic ones but your article is a beautiful consolation. It gives me hope and passion for the beautiful language, English and the beautiful people called English too. Great article, wish you well, sir. Loved the article and I agree that a lot of gentlemanly traits are disappearing, but what you describe can be labeled simply as Englishness. Fairplay, championing the underdog, looking after those less fortunate than yourself, share and share alike and minding your manners are all things that we are taught school, some via religious teaching but the rest by adopting the moral code drilled into us by our teachers. Everyone has a moral compass and I don’t think one needs a book to teach us the difference between right and wrong but yes, there are true gentleman amongst us still. You just have to scratch beneath the surface of most and there he is. Thanks for your comment Al. So glad you liked it. And thank you for all your support on Twitter too.